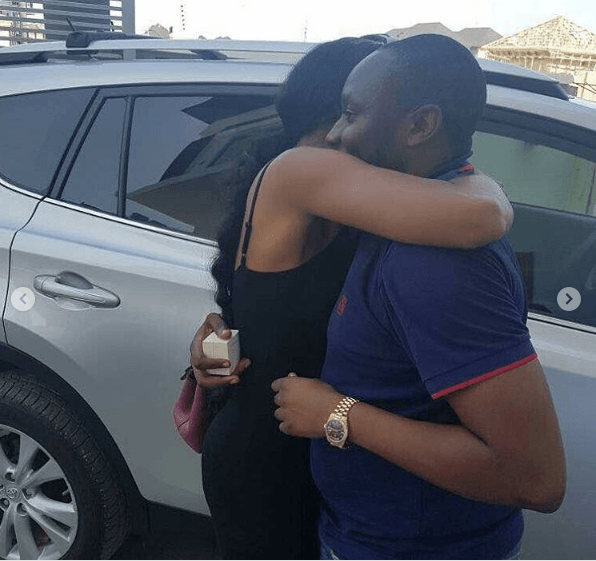 A lady, Aisha Momodu, was shocked in a very positive way as she received doubleblessings from her man earlier today. 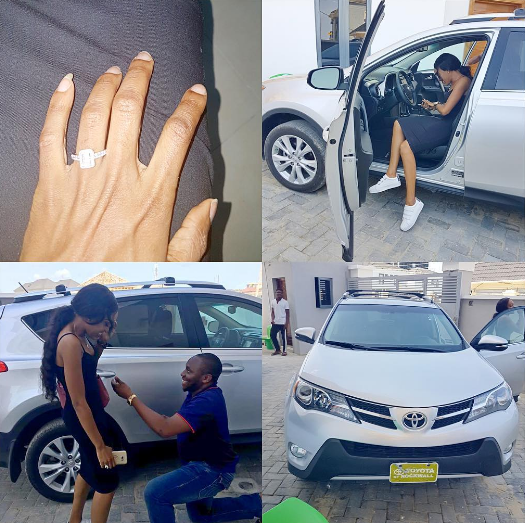 Her boo proposed to her with a Toyota jeep. 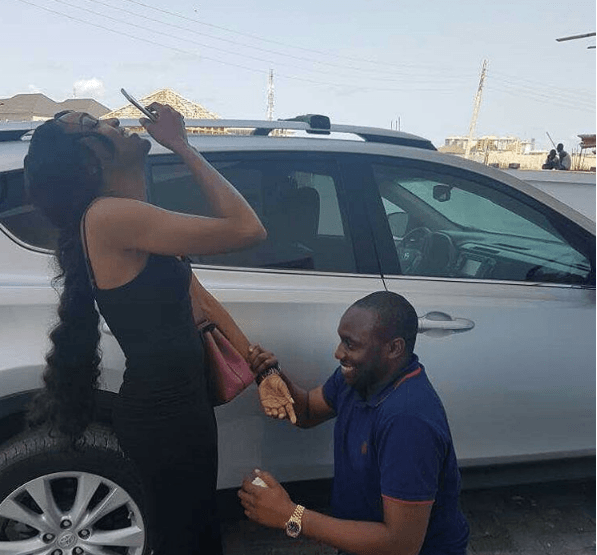 And, yes,she said YES!!! 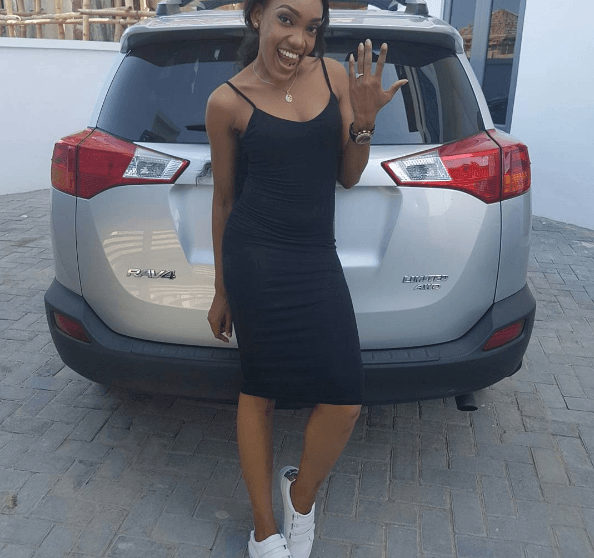 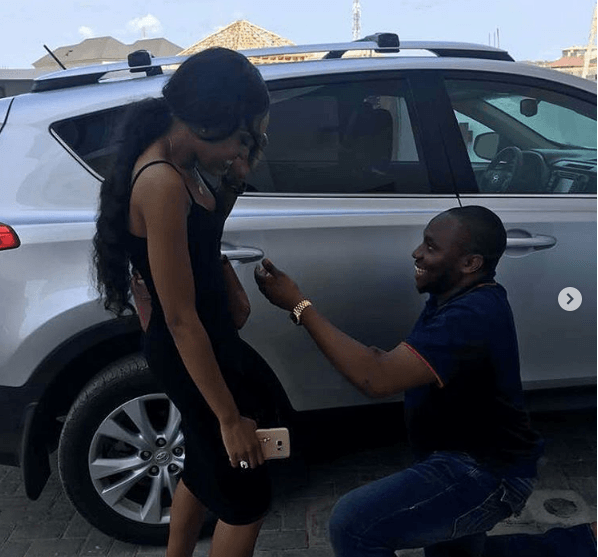 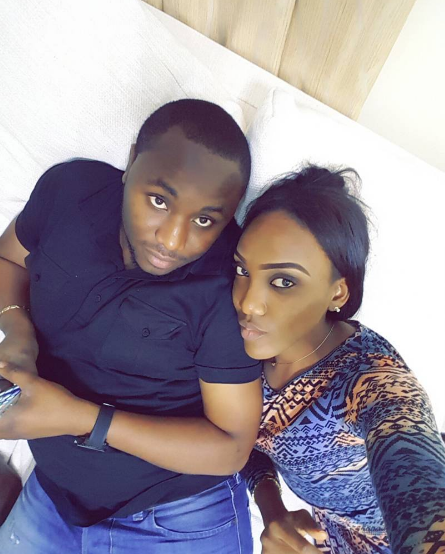 0 Response to "Nigerian Man Proposes To Girlfriend With A Brand New Toyota Jeep"